Phase I and Phase II Environmental Site Assessments Seal Beach CA? What’s the Difference Between Phase I and Phase II Environmental Site Assessments Seal Beach CA? Only Phase II environmental site assessments Seal Beach CA include sampling & testing. In essence, environmental site assessments Seal Beach CA are designed to detect any contamination or other environmental liabilities present on a given piece of property. Phase I and Phase II environmental site assessments each play an important role in this process. 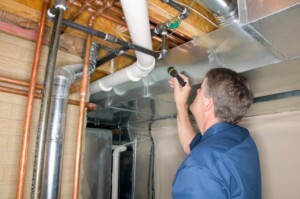 Environmental site assessments Seal Beach CA are commonly conducted when properties change hands. The new buyer will naturally want to be aware of any contamination already present on the property before purchase, as will the lender that may be financing the purchase. Failing to conduct an assessment at this stage can leave buyers vulnerable to penalties for any contamination that may be found later on. They will be held responsible for financing the cleanup, even if the previous owner caused the contamination. Environmental site assessments Seal Beach CA must also be conducted when applying for a different type of land use permit, and they may also be requested by landowners who simply want to gain a better understanding of their own property. A Phase I ESA consists primarily of visual inspections and historical research designed to detect the possible presence of contaminants like lead-based paint, asbestos, mold, radon, chemical spills, and petroleum products. For example, an environmental site assessor may look for records and permits showing that the property contained underground storage tanks or was used in an industrial capacity. Then they would also visually inspect the area to look for signs of spills like chemical residue or dead vegetation. They might also talk to individuals with historical knowledge of the property, as well as investigate the histories of any neighboring properties which may have posed environmental risks to the area as a whole. If a Phase I ESA concludes that contamination is likely, a Phase II ESA will then be conducted. A Phase II ESA includes actual sample-taking and testing to verify the presence and concentration levels of any hazardous materials. For example, samples might be taken of building materials to check for asbestos or lead paint. Samples would also be taken of the soil and groundwater to check for dangerous levels of pesticides, solvents, and heavy metals. Phase II ESAs enable landowners to get solid, scientific proof one way or the other regarding the contamination of their property.